Sidney Crosby will take centre stage at a unique event celebrating the province's greatest athletes. HALIFAX — Hockey superstar Sidney Crosby may not be bringing the Stanley Cup home to Nova Scotia again this year, but he will still take centre stage at a unique event celebrating the province's greatest athletes. Crosby will be the headline attendee at a gala dinner Thursday honouring Nova Scotia's top 15 athletes of all time. The Cole Harbour, N.S., native added to a long list of accolades this year when he was voted the province's number one athlete in a list compiled by the Nova Scotia Sport Hall of Fame, which is holding the dinner and fundraiser at the Halifax Convention Centre. Bruce Rainnie, the hall of fame's CEO, said the list was voted on by 36 Nova Scotia athletes, coaches and media representatives, as well as by members of the public. 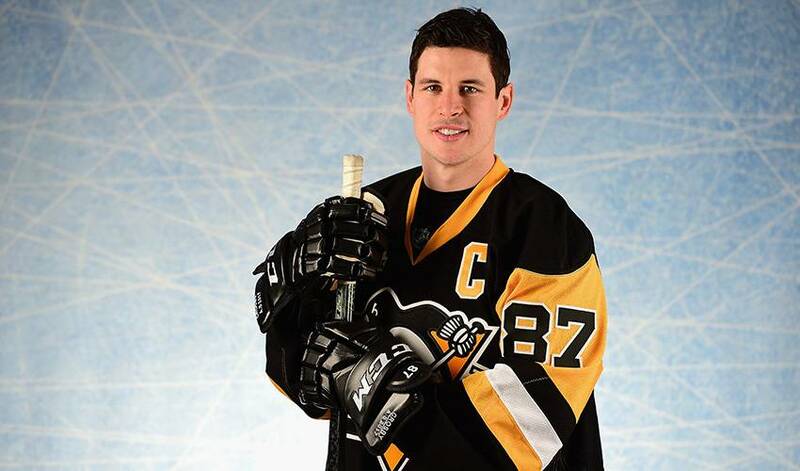 "Thirty-five of 36 had him (Crosby) at number one, so it was near unanimous," said Rainnie. He said the idea behind the dinner was to get all of the living members of the top 15 list in one room at one time. "It was key that Sidney be able to do it," Rainnie said. "I don't think you could do the dinner without the number one guy and he was very keen from the word go." Crosby brought the Stanley Cup to Halifax after each of his three championships, including in 2016 and 2017. This year, though, his Pittsburgh Penguins were eliminated by eventual winners the Washington Capitals. Other athletes scheduled to attend Thursday include curling legend Colleen Jones, Hockey Hall of Famer Al MacInnis, Olympic canoeing medallist Steve Giles, international softball star Mark Smith, kayaking world champion Karen Furneaux, Canada's top gymnast Ellie Black, Paralympic gold medallist Jamie Bone, and Olympic kayaking medallist Mark de Jonge. The lone surviving member of the list who won't be in attendance is former world record holding swimmer Nancy Garapick, who won two backstroke bronze medals at the 1976 Montreal Olympics at the age of 14. Garapick is well known to be media shy. "She decided years ago to leave her athletic life and accomplishments behind," said Rainnie, who added that Garapick has signed memorabilia for the hall's list project. Rainnie said each member of the list will be honoured Thursday with a video tribute to be followed by a short question and answer session. Colleen Jones, who was voted number two behind Crosby, said she was humbled and surprised to end up where she did. "It sort of blows my mind when you think of how small a province we are, that we've created so many fabulous athletes," said Jones. She said one highlight for her is the diversity of sports represented on the list. "It can't possibly just be hockey (players) because we've created and built so many fabulous athletes. I think it's neat to recognize that." Jones, who won two world curling championships and six Canadian titles in her stellar career, said the dinner is a chance to inspire others on to greatness in the same way that she was inspired by others in the top 15. She talked about meeting Aileen Meagher when the late sprinter spoke to her Grade 5 class, and also recalled watching Garapick, who was a childhood neighbour, on her family's new colour television during the '76 Olympics. "I like the fact that we're going to meet kids and that they get to hear our stories," Jones said. "I think it's a powerful thing that this dinner has the ability to do and the list has the ability to do." Proceeds from Thursday's event will be shared by the Nova Scotia Sport Hall of Fame and The Sidney Crosby Foundation, which assists charities that improve the lives of disadvantaged children.